It's that time of year again when I think about trying to get organized, which starts with setting up my calendar! Here's a freebie set of cut files to start off the new year! 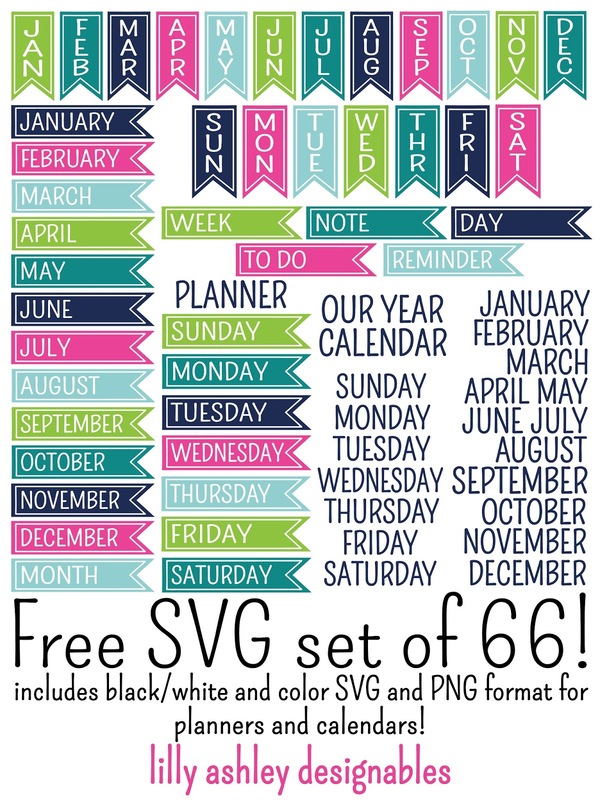 Free for personal use, the designs shown above come in SVG and PNG formats, in black/white and color! 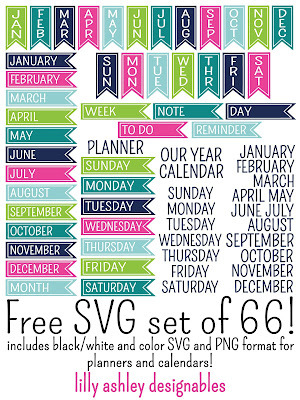 Note that this is not a print and cut sheet, but is a set of 66 separate files in black /white and colors shown above, for a total of 132 cut files. Once you get to our download folder, click a zip file FIRST to select it prior to clicking on download. Be sure to check back with us soon, more free downloads coming up!